In an explosive revelation, Colonel (r) Ashfaq Hussain has accused former president General (r) Pervez Musharraf of aggression against India in 1999, saying the former army chief had himself crossed the Line of Control (LoC). Hussain, in his book Witness to Blunder, said the Kargil mission was masterminded by Major General Javed Hassan, General Mehmood and General Aziz. “They made Musharraf agree to the plans which later led to a limited conflict between India and Pakistan,” he wrote. Hussain claimed Musharraf had himself crossed the LoC and spent a night on the Indian-controlled side. “On March 28, 1999 General Pervez Musharraf crossed 11 kms beyond the LoC on a helicopter and was escorted by Colonel Amjad Shabbir at a location named Zakriya Mustakar.” He wrote Pakistan began its operation in Kargil on December 18, 1998 when Captain Nadeem, Captain Ali and Hawaldaar Lalak Jaan crossed the LoC to carry out a recce. “On May 17, 1999, Nawaz Sharif was given the Kargil briefing,” the book said. Another former army officer, Lt Gen (r) Shahid Aziz, who headed the analysis wing of the ISI during the Kargil conflict, recently revealed that the operation was masterminded by a group of four generals led by Musharraf. Musharraf, in response to the allegations, has said the 1999 Kargil operation was a big success militarily, adding that if then prime minister Nawaz Sharif had not visited the US, the Pakistan Army would have “conquered 300 square miles of India”. Rejecting the suggestion that he had willfully put a “tight lid” on details regarding the Kargil War operation, Musharraf told a news channel that Nawaz was solely to blame for the defeat. “Nawaz lost a political front which we had won militarily,” the former president said, adding that the “prime consideration for actions like the Kargil operation is security and secrecy”. Musharraf said the country lost only 270 men against India’s 1,600 soldiers in the conflict. He said “blaming the nation at this juncture of time, as Lt Gen (r) Shahid has done, seems to be part of a conspiracy”. Musharraf has said he would return home some two and a half months before the forthcoming elections to boost the electoral chances of his party – the All Pakistan Muslim League (APML). Even If he flew on a huey,it still takes b**ls to do what Mushy did.V K or any other Indian or Pakistani don't have the heart and courage that Mushy has,even though he has made mistakes and even admitted them unlike any military leader or a [email protected],although I find some interesting comments from you but you are still a civilian and living somewhere in the U S or Canada,I too live in the U S but I still have the Pakistani and army blood flowing thru my veins,and I'm not complaining about you,you have the right to do and say as you please. If India can do Siachen, Pakistan done the Kargil exactly similar area in terms of control though vital for Indian presence in Siachen supply route. India done well in Siachen and their govt stand by their military action, in Kargil case, our political lot didnt show a spine and ordered a pull back! It doesn't matter,either way,innocent lives are lost and we gain nothing by spending millions while our soldiers lose their arms legs and even lives for what ? that money could be spent on other pressing issues.You are correct,but both sides politicians have no spine nor do they have the courage,desire and heart to do the right thing. GOOD that he did. I will accompany him if and when he does it again. Kindly enlightened me what he gained after crossing this line.Those who live near to border line quite frequently do such practice until some security personal hunt them .This action is relevant to his nature that he is used to crossing all limits which a person should own specially while holding state office.But throughout his career he was known to his breaching attitude.This can come in circle of adventurism but in civilized sense it is termed as stupidity.Furthermore if you are praising him in sense of bravery then practically we all are seeing his bravery level specially when state security had been lift off from this so called commando.He could have crossed LOC at night hours but has no courage to enter in his country where he ruled for 10 years. Yours is absurd reasoning and divorced from the realities of Indo-Pak relations. Educate yourself on the difference between crossing LOCs viz a viz International Borders. Offensive actions to supplement your defensive posture form part of basic teaching on Operations of War. Please study the Indian rhetoric and aggressive stance after Pokhran-II onwards. Kargil was not War, it was a localized operation conducted at a time when the Indians were in no position militarily, to react anywhere else. Read what the Hindustani writers have themselves written on the subject. I am again quoting the lines of army personals as it wont suit me to misuse your described terms for this war.Leave the aziz here as you dont like him, lets read comments other generals specially Gen hameed gul who is step mother of talibans .He always pretend to be great jihadi but never led any operation or war in this regard but surely thrown our emotional, and unemployed youth to this so called designed holy war. Jamshed Gulzar pointed towards Musharraf without naming him. “After Sharif came to know of the Kargil operation, he immediately called top military commanders and his close cabinet members to discuss the situation. None of the military and political leaders favoured Kargil and all the blame was on one person,” he said. On Jun. 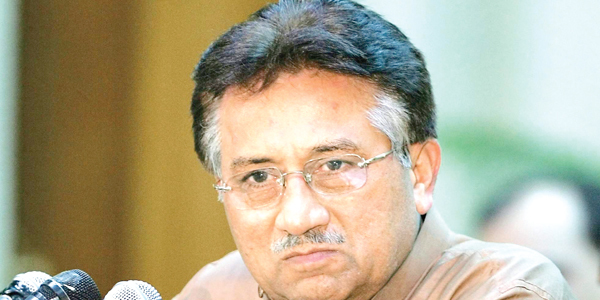 1, while asking the PPP government to set up a high level judicial commission to hold Musharraf accountable for the deaths of thousands of army jawans in the Kargil “misadventure”, the Ex-Servicemen Society – a group of the retired Pakistan army generals – demanded an open trial of Musharraf on treason charges under Article 6 of the Constitution. Over 250,000 members of the Society are expected to join the Jun. 10 long march of the lawyers’ community for reinstatement of deposed judges if Musharraf does not resign. “The nation wants the new government in Islamabad to unmask the real culprit behind the Kargil misadventure that caused deaths of over 2,500 army jawans,” said a former ISI chief retired Lieutenant General Hameed Gul, while addressing a news conference in Islamabad. It is interesting that armies don't go to war but nations.Pakistan history is quite different.They all time gone to this war state and then prepare nation to tolerate its aftereffects.Eat Pakistan, kargil war and then swat and then war on terror we have It is magic of our ISPR that keep the nation like you hearing the music that Pakistan army is in some kind of operation and exercise for handling few miscreants but actually they use gunship, air force, Armour core commando operations, civilian disturbance all to create war like situation. Seems there is a whole panel under this Name. Nevertheless, the fact remains that Kargil was a necessity after Pokhran-II to bring the Hindustani mindset back to earth. The Atoot Ang syndrome stopped thereafter. What you are quoting are personal observations and comments, that cannot be debated as these are riddled with individual personality clashes emerging after shedding uniforms. what did Musharraf acieve . He wanted to over rule civilians with you view to ultimate take over. As a test case he foolishly attacked killing his own soldiers and officers. If a civilian had done it he would have been condemned as a murderer . In pakistan no one can challenge Generals like Tikka khan. who was responsible for alienating Bengali Muslims.. who Lost. Pakistan. who lost in Kargil. pakistan. . what is so great about sneaking into another territory. It was indiscipline. Nothing else. Do you see the Balouchs' in the same light ??? The "tiger" Musharaff can cross LOC and go to the bharati side..but he is too much of a coward hij ra to cross the LOC and come back to pakistan from London! HeHe!! Nazia sweetheart. Please work on your English. Your adventurism into writing comments in English is much more painful than Musharraf adventuring into Kargil. yes don't try to correct wrong notions which you people develop by idealizing wrong persons occupying right positions.I have provided you written proofs of your wrong perceptions.